Bi-Office MasterVision Tripod Easel Magnetic 700x1000mm EA23066720 – BQ50367 – OfficeYoo! This lightweight Bi-Office MasterVision Tripod Easel has telescopic legs for height adjustability and easy portability. The lacquered steel surface is magnetic and wipes clean easily for use with dry erase markers. The easel also features an adjustable paper clamp for use with flipchart pads and 2 magnetic extension bars allowing you to display 3 sheets at once. 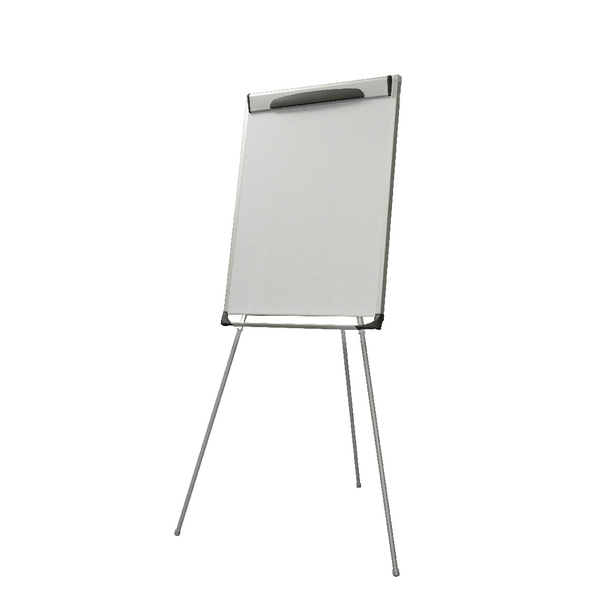 Ideal for presentations, reports and meetings, the easel also features a full length tray for pens and accessories. This white board has a black aluminium frame and measures W700 x H1000mm.